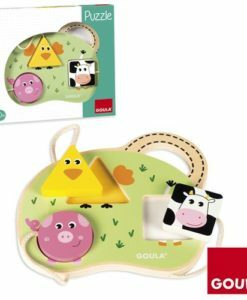 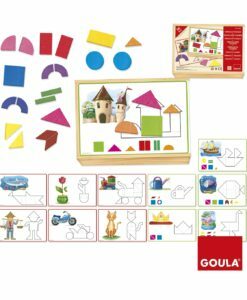 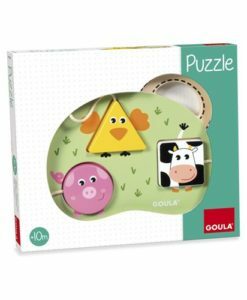 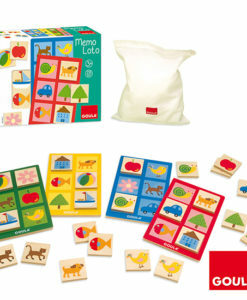 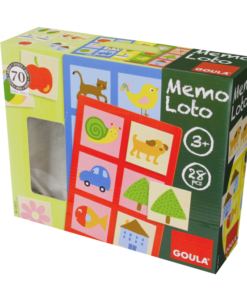 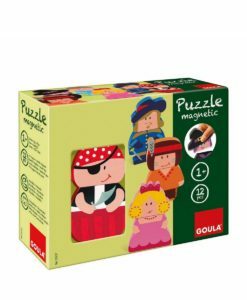 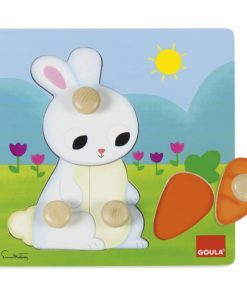 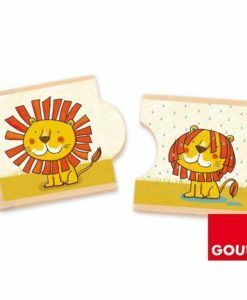 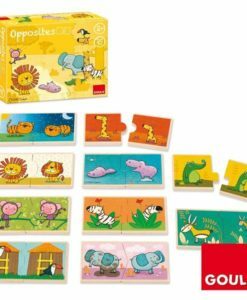 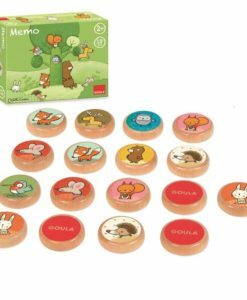 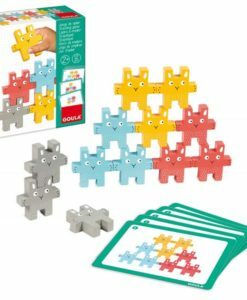 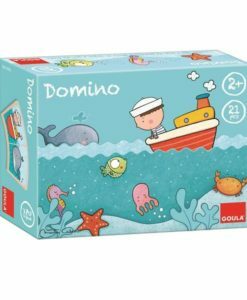 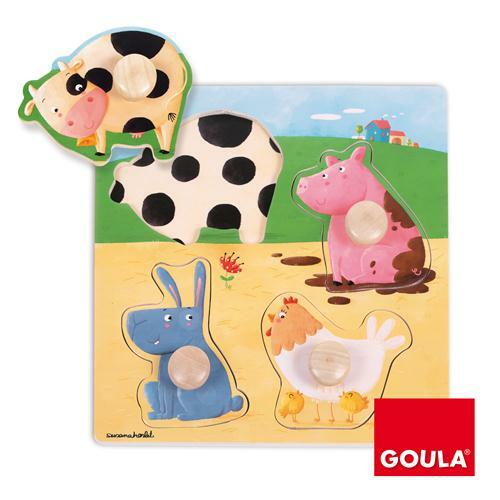 Goula Farm Animals Puzzle is sure to keep children entertained. 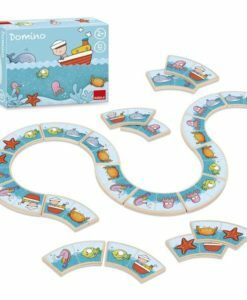 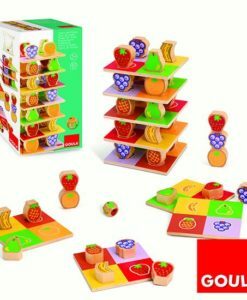 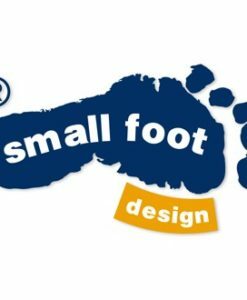 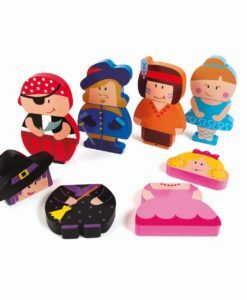 As well as developing hand-eye coordination and fine motorskills, it will develop communication and language skills also. 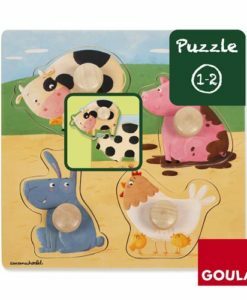 This puzzle has four different animal shaped pieces that slot into the wood. 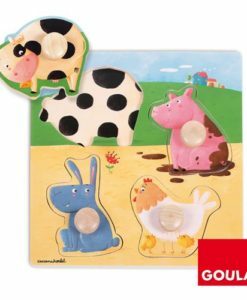 The shape of the holes correspond with the animals on the pieces, getting children to really think about which ones match. 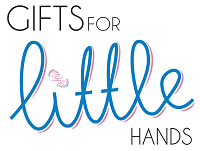 Furthermore, each of the pieces have chunky handles perfect for little hands to hold. 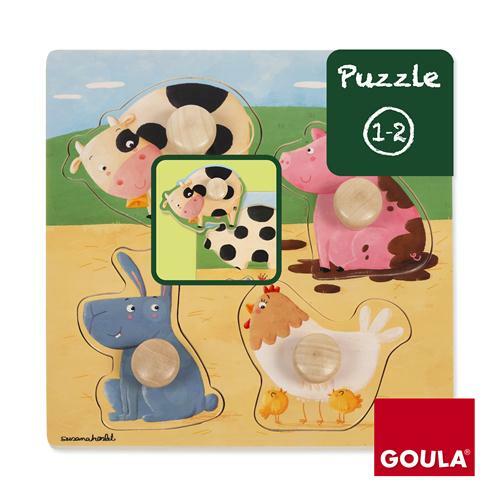 The bright and colourful animals include a cow, dog, pig and hen. 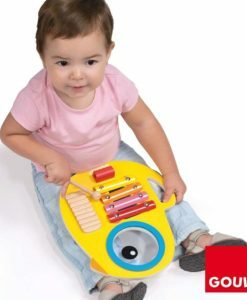 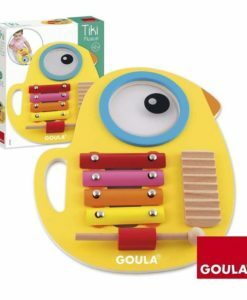 Finally, this educational toy is ideal from age 1 year.